We are reckoned as one of the leading manufacturers of premium-quality Mould Jacket Assembly. They are fabricated at our ultramodern infrastructure facility using high-quality raw materials and comply with industrial quality standards. Their main function involves supporting and self-centring of the cartridge type mould on the oscillation table and primary solidification of liquid steel. They are inserted on the oscillation table. Their construction involves a welded and machined cylindrical steel casing with self-sealing connections for cooling water and mould lubrication oil, universal casing for supporting the section size related moulds, self-centring of casing with oscillation table and self-centring of moulds with casing resulting in short section change time. They have a cartridge-type mould jacket with tapered and curved tube mould. They are delivered to clients within the specified time-frame. Established in the year 2007, we, Fidus Achates Engineering Private Limited, are one of the leading Manufacturers, Suppliers, Traders, Exporters and Service Providers of a wide variety of Industrial Casting Machine Equipments. Headquartered in Mumbai, our organization has carved a niche for itself in the market since the beginning of its operation. We are a knowledge-based organization engaged in offering a wide array of customized solutions for a global client base from the steel industry. 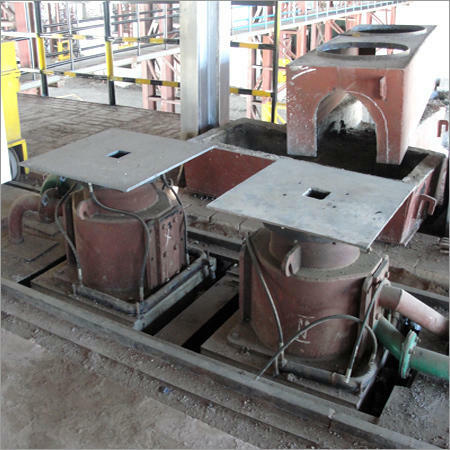 From plant layout design to continuous casting machine design, manufacturing, erection and commissioning, our organization straddles the entire CCM technology. As a diverse end-to-end CCM technology provider, we possess the expertise for helping customers to re-engineer and re-invent their business in order to compete successfully in the highly demanding and ever changing marketplace. On demand, we also help our clients by providing end-to-end consultancy, right from steel making to finished products.